The Pacific Links, as the Ocean Course was originally known, also opened in May 1924. 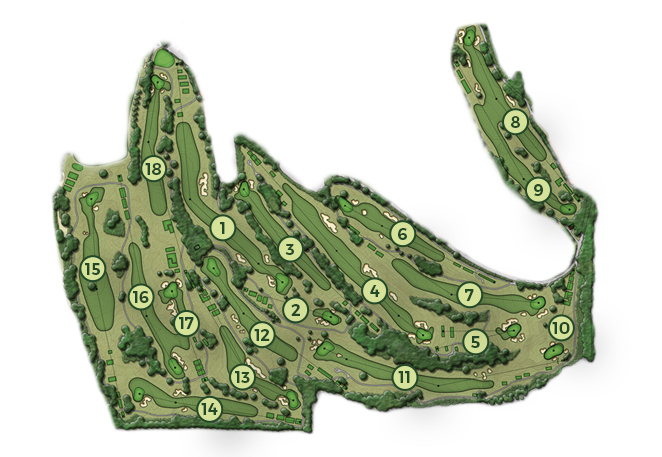 The 18-hole course featured eight holes west of Skyline Blvd. However, winter storms caused mudslides which led to necessary redesigns of both courses and some of the original Lake Course holes became part of the Ocean Course. Only two holes (the 3rd and 4th) remained west of Skyline. The course reopened in 1927 with a length of 6,053 yards, or about 400 yards shorter than the Lake Course at the time. The Ocean Course has been redesigned and rerouted several times since 1927, including a total reconstruction under Tom Weiskopf in 2000. A further renovation took place in 2012, after the U.S. Open, under the guidance of Bill Love and the Green Committee. The Ocean Course is now a customizable experience that balances the needs of players at all skill levels with providing a challenging and rewarding round of golf. The Ocean Course has hosted several local, state, regional, and national championships, including the 2004 U.S. Junior Amateur, the 2007 U.S. Amateur, and the 2015 inaugural U.S. Four-Ball Championships.